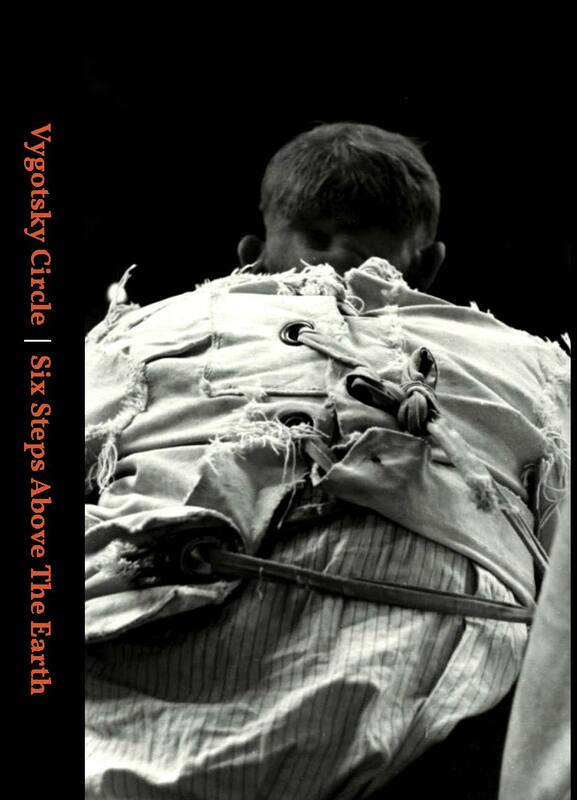 'Vygotsky Circle' have been discographically silent since 2014 and the band went through some changes those three years and a new guitarist was added to the band's roster. A few days ago 'Vygotsky Circle' broke their silence and together with 'Six Steps Above the Earth' they released a split cassette. 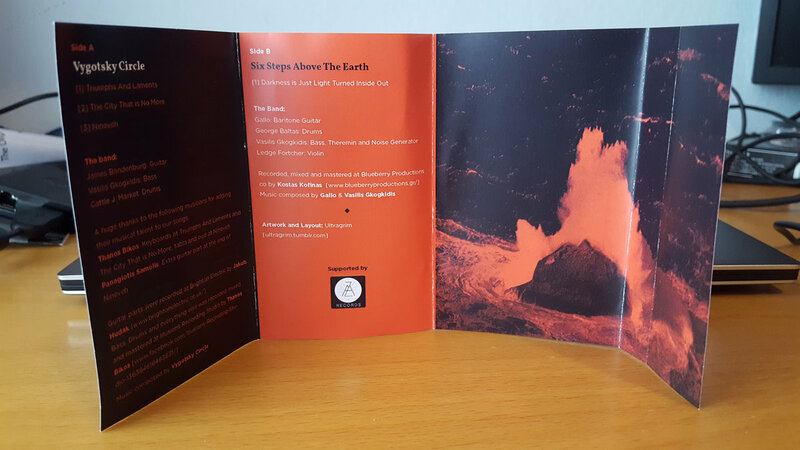 'Six Steps Above the Earth' contributed to this split release (side B) with their track "Darkness is Just Light Turned Inside Out", aprox. 18min. long, which was also featured in the band's previous release 'Step 2' last September (read a few words about it here). 'Side A' of the cassette is consisted of three brand new tracks by 'Vygotsky Circle'. Three instrumental, kind of minimal, doom-drone tracks in a constantly dark post-rock atmosphere with a total duration of 16minutes. 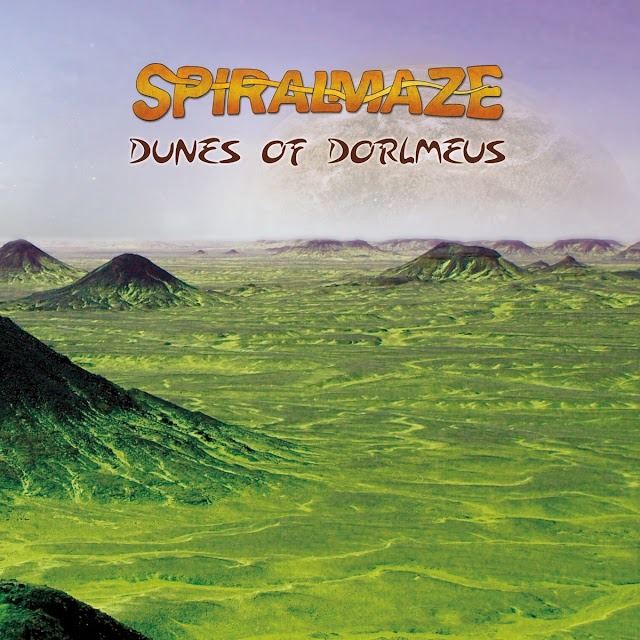 Either you are a doom, drone fan or a post-rock fan, either you were previously familiar with band or not there is definitely a chance that you are going to find something very appealing to this release and its atmosphere. 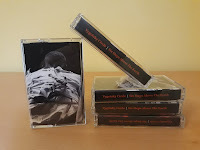 Click below and listen, the split is also available for free download and you can also order the cassette either through bandcamp or Lotus Record Store. The tape you hold in your hands was recorded in three different cities, every one of them very special to us. Thessaloniki, Athens and Brighton are all places that their music scenes have influenced us in many ways. 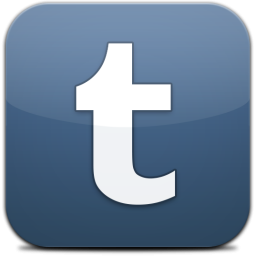 They are also places where we found friends and musicians to share our passion for music. We really believe that music should be about coming together, collaborating and being creative no matter where you come from and we think that this tape proves just that. Some people we need to thank for their support are, Post_Black _Punk for being our spiritual guide, John Simandiras for the support, John Kontan (Ghone) – Agnes Vein – Dead Elephant – King Goat for playing music with us live, our friends and families for always being there for us, people that like our music and support it in any way.